At an average $4,000 to $5,000 (£2,030 to £2,540) per gallon, printer ink is currently more expensive than both perfume and caviar, but now Eastman Kodak is looking to change that. EastmanKodak is attempting to "revolutionise" the monopoly that market leader Hewlett-Packard (HP) currently holds in the printer ink market. Next month, the photo giant is launching a new range of desktop printers it claims could lower the price per printout by a third, compared to today's prices. Printers are currently normally sold at a loss - it's with the replacement cartridges the real money lies. Ink cartridges are often very expensive and particularly designed. According to the Wall Street Journal , global sales of printers make up less than a quarter of sales of ink and paper. 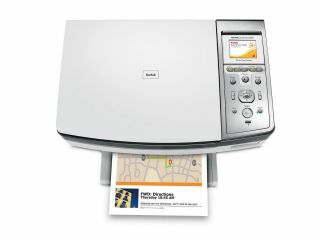 Kodak's new launch is a series of multifunction devices that print, scan and copy documents and photos. The three EasyShare All-in-One printers will cost between $150 and $300 (£76 and £152), depending on which features are included. According to analysts, this price point is around $50 (£25) higher than similar printers on the market today. But the real innovation is in the printer cartridges. The ink cartridges will cost between £7 (black) to £10 (colour), which is about 50 per cent less than HP and other brands charge. "The inkjet market will never be the same," said Antonio M. Perez, chief executive officer at Eastman Kodak. "We are changing the rules in this industry to ensure that consumers can affordably print what they want, when they want, easily and at the high level of Kodak quality they've come to expect," Perez said. Kodak said that a user who buys paper in bulk could reduce the cost of a standard-sized photograph to 7 pence each, instead of 15 pence it currently costs. Some analysts have said that Kodak's attack against the printer market will hit the smaller manufacturers, such as Epson and Lexmark , the most. Others said the new printers would only have an effect on the market of consumers that print out huge amounts of photos. An HP spokesperson pointed out that only around 10 per cent of all printouts are currently photographs.